FRP Container are used to protect the contents against solids, liquids and the foreign particles present in the plant areas. If necessary, built-in attachment for electrical connections can be provided; otherwise, the boxes are excellent for storing materials. Size (L*B*H): As per customer requirement. 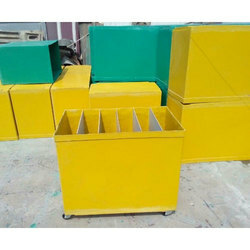 With the help of our expert team members, we have been able to provide FRP Insulated Box. 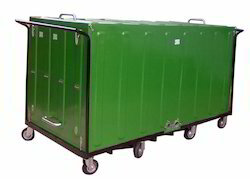 Owing to our in-depth knowledge in this domain, we are specialized in providing FRP Battery Box. Matching up with the exact requirements of customers, we are involved in presenting a wide array of FRP Food Box. - These products are using a premium food-grade polyester resin that contains no harmful ingredients and is certified by the resin manufacturer. Our FRP Junction Boxes are rugged & can withstand all type weather conditions. Can be made to your dimentions & requirements. Clients can easily avail from us PP FRP Solar Battery Boxes that is delivered to the customers without any delay from the committed time duration. Besides, we assure the safe delivery of PP FRP Solar Battery Boxes without any damaging during transit or other procedures. FRP Designer Post Box . We are engaged in offering FRP Battery Boxes. We are Dealing only in Tamilnadu, Kerala and Puducherry.